A handy refill for the Ecover pump action liquid hand soap dispenser to ensure that any business, group or home never runs out of soap in the cloakrooms. Suitable for all who pass through, even those with sensitive skin, as it is PH neutral and contains lavender scent and aloe vera. Ecover Handsoap is naturally refreshing, is not tested on animals, and uses 100% recyclable packaging. 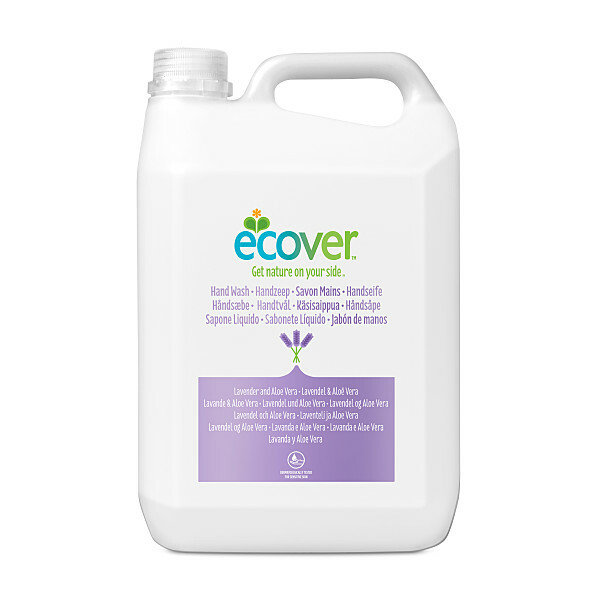 There are currently no questions to display about Ecover Lavender & Aloe Vera Liquid Hand Soap - 5 litres.